Mass Effect: Andromeda is an action role-playing video game developed by BioWare and published by Electronic Arts for Microsoft Windows, PlayStation 4, and Xbox One. Released worldwide in March 2017, it is the fourth major entry in the Mass Effect series and the first since Mass Effect 3 (2012). The game begins within the Milky Way Galaxy during the 22nd century, where humanity is planning to populate new home worlds in the Andromeda Galaxy as part of a strategy called the Andromeda Initiative. The player assumes the role of either Scott or Sara Ryder, an inexperienced military recruit who joins the Initiative and wakes up in Andromeda following a 634-year journey. Events transpire that result in Ryder becoming humanity's Pathfinder, tasked with finding a new home world for humanity while also dealing with an antagonistic alien race, the Kett, and uncovering the secrets of a mysterious synthetic race, the Remnant. For Mass Effect: Andromeda, BioWare incorporated a lighter tone than previous installments in the series, utilized open world elements, and placed an emphasis on exploration. Many of the series' traditional gameplay elements remain, while others are modified, such as combat, which is less cover-based and more mobile. The game is the largest in the series, and offers the player the freedom to focus on either the main quest or side quests. Its score was composed by John Paesano and aims to match the game's mood by capturing the adventure of space exploration. In contrast to the original Mass Effect trilogy, which was spearheaded by BioWare's Edmonton studio, Mass Effect: Andromeda was handled by a new team out of Montreal. The game experienced a troubled production cycle that saw many members of its leadership team depart mid-project and numerous changes in creative vision. It was built using the Frostbite 3 engine, which required that BioWare construct all systems, tools, and assets from scratch as the series was previously built in Unreal Engine 3. Following the game's release, BioWare released several patches in response to critical feedback, but decided not to release further single-player downloadable content additions. Mass Effect: Andromeda was a highly anticipated game after its June 2015 announcement. Upon release, it received generally mixed reviews from video game publications. Praise was directed at the game's improved combat and visuals, while criticism was aimed at its character animations and technical issues. As of September 2017, the game has shipped over 2 million copies worldwide. Mass Effect: Andromeda is an action role-playing game in which the player takes control of either Scott or Sara Ryder from a third-person perspective. Both Ryders' appearances and first names can be determined by the player. The appearance of their father, Alec, is automatically adjusted based on the appearance of the Ryder twins. Upon beating the game, a New Game+ is unlocked, which allows the player to restart the game with certain bonuses and switch to playing as the other Ryder, if desired. Players can also choose to continue playing with their existing character and complete unfinished missions. Unlike previous installments in the Mass Effect series, where players begin each new game by choosing from six different character classes that each have their own unique set of skills, players instead have free rein to assign any skills that they want and build towards a specialty over the course of the game. For example, if the player chooses to invest solely in biotic skills, Ryder will unlock the Adept profile, which results in bonuses related to that play style. Experience points are earned by completing missions, and there is no cap on the number of points that can be earned. Once enough points are gained, Ryder levels up, which allows for the unlocking and upgrading of skills along a tree. Points assigned to each skill can be constantly reallocated so that players can experiment with multiple gameplay approaches without having to restart their games and build up their skills from scratch again. Similar to its predecessors, the player can interact with characters in Mass Effect: Andromeda using a radial command menu where the player's dialogue options depend on wheel direction. Around the wheel are four types of responses that shape each conversation: emotional, logical, professional, and casual. In general, conversations are based on agreeing or disagreeing with participants. During some conversations, the player is prompted with an "Impulse Action" that offers an additional choice to what is available on the dialogue wheel. For example, an on-screen prompt to "shoot" might appear and be momentarily selectable. By conversing with non-player characters, Ryder can develop friendships and, in some cases, romantic relationships with them over time. During both dialogue and quest sequences, the player is sometimes tasked with making moral decisions that do not have a clear good/bad distinction but are intended to be more nuanced, marking a departure from the Paragon/Renegade morality system of prior titles in the series. In Mass Effect: Andromeda, the player explores the Andromeda galaxy by selecting destinations from the inside of a ship called Tempest. By having Ryder stand on the ship's bridge, the player is able to overlook the stars using a galaxy map and choose a navigation point. The game features five primary planets and over a dozen hub worlds that connect the player to various quests that can be completed, such as taking out hostile enemy bases or hideouts, scanning for objects with useful data, or completing loyalty missions for Ryder's squadmates. As quests are completed, the player earns "Andromeda Viability Points", which allow for the waking of colonists from hibernation, and planets increase their "Viability Levels", which allow for the building of outposts. Each planet has a boss that the player may not be able to defeat at first and may need to revisit later once Ryder has sufficiently leveled up. The game's primary planets have open world environments and can be traversed using the "Nomad", a six-wheeled, all-terrain vehicle. While driving the Nomad, the player has the ability to scan the planet's terrain for resources and then deploy mining drones to collect them. As new areas are explored, the player can find drop zones that serve as fast-travel points and allow for a loadout change. To aid the player in managing quests, the game automatically logs available missions in a journal where the player can select a single quest to make active, which is then marked on the game's user interface. Some planets have environmental hazards that must be accounted for, such as the planet Elaaden, where Ryder must avoid the heat to prevent taking damage. Over the course of the game, the player can find blueprints and resources that are used for crafting weapons and armor. All crafted items can be given customized names. One way that the player can move around the world is by jumping into the air using a jetpack. A compass at the top of the screen helps the player navigate around the map. Health bars and skill buttons at the bottom of the screen are used during combat. Combat in Mass Effect: Andromeda takes place in real-time, and unlike previous installments in the series, pausing the game to aim or use skills from a menu is no longer a feature. During action sequences, the player has direct control of Ryder from an over-the-shoulder perspective, who can move around the battlefield in a variety of ways, including a side-to-side dash or vertical leap into the air using a jetpack. When the player approaches an object, Ryder will automatically take cover, providing the player with protection in battle. The game encourages players to keep moving during combat with large, open battlefields and enemies that attack from all angles, but also allows for both aggressive and defensive strategies. Damage is dealt to enemies using gunfire, melee attacks, or specialized skills such as a flamethrower. At all times, three skills are available for use, along with a profile that provides play style bonuses. The player can rotate between up to four combinations of skills and profiles by setting up "favorite slots", which can be accessed during battle. For example, one slot might have three biotic skills and the Adept profile while another has three combat skills and the Soldier profile. A single skill cannot be deployed continuously; rather, after a skill is used, there is a cool down period during which the skill is disabled but other skills can be used. Some weapons in the game have a finite magazine and require players to replenish ammunition after a certain number of shots, whereas other weapons operate on an overheating system where the player must wait for the weapon to cool down after a certain number of shots. In addition to its single-player content, Mass Effect: Andromeda also contains a multiplayer mode. The mode revolves around horde-style cooperative matches in which the player must survive escalating waves of enemies and complete a series of objectives. Before heading into battle, the player can select a character, allocate skill points, and manage weapons. Unlike in the single-player mode, where the player is limited to playing as a human, the multiplayer mode offers a wider variety of species to choose from. At the conclusion of a match, all players earn experience points and credits; the former is used for further character upgrades and the latter is used to buy unlockables. The plot of the single-player campaign is not affected by the multiplayer mode. 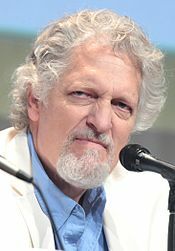 Clancy Brown voiced Alec Ryder in the game. Mass Effect: Andromeda begins in 2185, between the events of Mass Effect 2 and Mass Effect 3. The four Citadel Council races and the Quarians are planning to populate new home worlds in the Andromeda Galaxy as part of a strategy called the Andromeda Initiative. Each race sends 20,000 citizens on a one-way, 600-year journey to Andromeda aboard their own transportation vessel, called an Ark, and selects a leader, known as a Pathfinder. Once the races arrive, they help build the Nexus, a space station that serves as a center of government and diplomacy, a living area, as well as a base of operations for the Pathfinders. Characters and player decisions from the original Mass Effect trilogy are not carried over into Mass Effect: Andromeda, and there is no canon ending which is referenced. The protagonist of Mass Effect: Andromeda is, depending on player choice, either Scott or Sara Ryder (voiced by Tom Taylorson or Fryda Wolff, respectively). Their father, Alec Ryder (Clancy Brown), is humanity's Pathfinder, tasked with finding a new home for the species. Squadmates in the game include Alec's second-in-command, Cora Harper (Jules de Jongh), a biotic specialist with intensive commando training; Liam Kosta (Gary Carr), a security expert who specializes in crisis response; Pelessaria "Peebee" B'Sayle (Christine Lakin), an asari gunslinger capable of biotic destabilization; Nakmor Drack (Stanley Townsend), a veteran krogan warrior of the Nakmor clan specializing in close combat; Vetra Nyx (Danielle Rayne), a female turian mercenary who excels in shielding and protection; and Jaal Ama Darav (Nyasha Hatendi), a resistance fighter of the newly introduced angara race. Ryder's crewmates include Kallo Jath (Garett Ross), a salarian pilot; Suvi Anwar (Katy Townsend), a human science officer; Gil Brodie (Gethin Anthony), a human mechanic; Lexi T'Perro (Natalie Dormer), an asari medical doctor; and SAM (Alexia Traverse-Healy), an artificial intelligence that can communicate with all members of the team via implants. In 2819, following a 634-year journey aboard the Ark Hyperion, Ryder awakens in the Heleus Cluster of the Andromeda Galaxy. Hyperion strikes a dark-energy cloud called the "Scourge", temporarily knocking out its power and sending Ryder's sibling into a coma. The human Pathfinder, Alec Ryder, summons his team, consisting of himself, his (conscious) child, Cora, Liam Kosta and others, and heads down to the planet. They discover that it is no longer a viable colony site due to gravitic distortions (IE floating rocks) and lightning storms, and contact a hostile alien race, the kett, as well as strange structures from a synthetic alien race, the Remnant. Ryder and Alec find a terminal inside an alien monolith, which Alec activates in an attempt to stabilize the planet. A large blast throws the two off the elevated platform, damaging Ryder's helmet and exposing Ryder to the toxic atmosphere. Alec saves Ryder by giving Ryder his helmet, sacrificing his own life. Ryder is later revived and merged with the artificial intelligence SAM, learning that Alec has made Ryder the new Pathfinder. Hyperion reaches the Nexus, finding it incomplete and with no other Ark in sight. The crew learn from Nexus leadership that all of the worlds in Andromeda have become inhospitable, and that the Initiative has been stranded upon arrival, suffering from civil unrest and a supply shortage. Additionally, most of their upper-level leadership was slain upon impact with the Scourge, leaving salarian accountant Jarun Tann (8th in line of succession) as the new head of the Initiative; this lack of confidence exacerbated the aforementioned civil unrest and also led to an uneasy solution where the krogan were employed to usher the mutineers off the station, but then found themselves rejected by leadership, resulting in them leaving as well. As the Initiative's only available Pathfinder, Ryder is tasked with finding a suitable world to colonize, as well as uncovering the fates of the other Arks. Ryder is also assigned a spaceship, the Tempest, accompanied by Vetra Nyx and several other characters who remain shipboard: pilot Kallo Jath, science officer Suvi Anwar, doctor Lexi T'Perro and engineer Gil Brodie. Ryder is antagonized throughout this journey by the kett, led by an individual called the Archon, who has a particular interest in the Pathfinder due to Alec's demonstrated ability to interface with Remnant technology, something the Archon covets for himself. Unbeknowest to him, it is SAM, whom the Ryders carry around with them, that truly controls Remnant technology. Ryder's first stop on the search is Eos, a desert planet plagued by radiation, where the Initiative has already founded two failed colony attempts. Accompanied by Nakmor Drack and Pelessaria B'Sayle (Peebee), Ryder, with SAM's help, unlocks a Remnant vault, which houses a terraforming system that gradually repairs the planet's ecosystem to more hospitable levels. The planet's newly improved viability allows a successful outpost. Ryder also discovers a star chart pinpointing the location of other worlds that might hold similar structures. It is deduced that these worlds could sustain the Initiative. On one of those planets, the Earthlike Aya, Ryder encounters a new alien species, the angara, who are mounting a resistance against the kett. Ryder proves the Initiative's good intentions to them by aiding the angara on two other planets, in addition to recruiting a member of their species, Jaal Ama Darav, to the Tempest's crew. Ryder also rescues high-ranking angara Moshae Sjefa from a kett facility, discovering in the process that the kett have been turning the angara into more kett through a genetic modification process known as "exaltation". The Moshae takes Ryder to Aya's vault, learning that the Archon is chasing an object called Meridian, which can control all vaults and, by extension, the worlds that they are connected to. Ryder is free to explore the Heleus cluster during gameplay. A number of other planets can be visited: Voeld, an ice-bound warzone that serves as the center of the angaran struggle against the kett; Kadara, an angaran trading post that was taken over by Nexus mutineers; Elaaden, which the krogan colonized after their exodus; Havarl, the jungle-bound angaran home planet; and H-047c, the proposed turian homeworld, which can no longer be settled as the Scourge has reduced the planet to an asteroid belt. SAM may activate Remnant Vaults on all but the final location, and Ryder may found colonies on all but the last two, though the political situations on Kadara and Elaaden requires smoothing first. These planets also contain evidence leading to the asari Ark Leusinia and turian Ark Natanus, which Ryder may rescue. However, Ryder's main priority remains stopping the kett. To this end, Ryder tracks down their flagship and discovers that the kett have captured the salarian Ark Paarchero and have been experimenting with various Initiative species. Ryder frees the ark and learns the location of Meridian. However, the raid teaches the Archon that he what he truly needs is SAM, or someone who has access to it. Meridian is revealed to be an ancient Remnant city. Ryder discovers that Meridian, a Dyson sphere-like construct, was taken away from the city, disconnecting the vaults and rendering the planets uninhabitable. The Archon launches an attack on Hyperion, severing SAM from Ryder, while also capturing Ryder's now-conscious sibling, whose SAM implant he intends to use in order to take over Meridian. Ryder, nonetheless, manages to activate the Remnant fleet and makes an assault on the kett fleet guarding Meridian, with the help of any allies made through the game's open world. The Ryder twins work to defeat the kett, eventually disconnecting the Archon from Meridian's system and killing him in the process. Ryder is hailed as a hero, having activated Meridian and made the cluster more suitable for settlement. Hyperion, after crash-landing onto Meridian, adopts the planet as humanity's new home. In a post-credits scene, the Archon's second-in command, Primus, is seen observing Meridian, hinting at a possible future threat. The player, as Ryder, is also able to enjoy the victory celebration on Meridian, before taking the Tempest out to continue exploring Andromeda. Mac Walters served as creative director for Mass Effect: Andromeda, taking over for Gérard Lehiany in 2014. Mass Effect: Andromeda was developed by BioWare, the same company that developed the original Mass Effect trilogy, and published by Electronic Arts (EA), who published the second and third games in the original trilogy. In contrast to the original trilogy, which was spearheaded by BioWare's Edmonton studio, Mass Effect: Andromeda was handled by a new team out of Montreal. This was done so that Edmonton could focus on a new intellectual property (IP). The company's Austin team assisted in development as well. BioWare's general manager, Aaryn Flynn, noted that many of the developers working on the project were fans of the original trilogy who came to BioWare specifically to work on a Mass Effect game. Early stages of development on Mass Effect: Andromeda began in 2012, following the release of Mass Effect 3. One of the first decisions that BioWare made was not to include Commander Shepard, the series' original protagonist, in the game. This strategy allowed them to make changes to some of the series' traditional gameplay elements, such as the old Paragon/Renegade morality system, which they felt was tied to Shepard and would not make sense without the character. Originally, they considered developing a prequel, but decided against it after soliciting feedback from fans, focus groups, and the development team. Instead of preparing for another trilogy, the company tried to avoid locking themselves into a specific plan with regards to future installments in the franchise, which they felt gave them more creative freedom. Although BioWare approached Mass Effect: Andromeda as a new beginning and wanted it to feel fresh and new, the company still borrowed elements from previous titles. For example, the ability to drive a vehicle was inspired by the Mako from Mass Effect and the concept of loyalty missions was taken directly from Mass Effect 2. The team also applied lessons that they learned from Mass Effect 3, which featured a controversial ending where some fans didn't feel as though their investment in the series' characters had paid off. For Mass Effect: Andromeda, BioWare decided to include open world elements and place an emphasis on exploration. As a result, they also decided to lighten the game's tone compared to previous installments in the series so that players could do side quests without feeling as though they were "letting the universe burn". Producer Mike Gamble felt that the game was BioWare's biggest yet in terms of content, but also noted that the company made an effort to make every planet and area memorable. To avoid the trap of making the player do side quests that felt tedious and insignificant–which was a common criticism of their previous title, Dragon Age: Inquisition–the company paid attention to what other games in the industry were doing, such as CD Projekt Red's The Witcher 3: Wild Hunt. As late as 2014, BioWare planned to create hundreds of explorable planets by using procedural generation, but ultimately scrapped the idea because of the difficultly involved in implementing it as well as a lack of internal resources. Due in part to the decision to abandon this concept so late in development, the company found themselves playing catch-up, and ended up building most of the game during the ensuing 18 months. Mass Effect: Andromeda required a team of over 200 developers and, as reported by the Edmonton Journal, was given a total budget of C$100 million, which included marketing and research costs. The game was initially directed by Gérard Lehiany, who was previously best known for his involvement in Beenox's Spiderman games. Casey Hudson, who directed the original trilogy, was promoted to the role of executive producer before leaving BioWare in 2014. That same year, Lehiany also departed from the project; he was replaced by Mac Walters, who previously served as lead writer for the series. In general, the game's development was plagued by internal instability, with its lead writer, senior editor, and other members of its leadership team all departing from BioWare during production. Mass Effect: Andromeda was built using EA DICE's Frostbite 3 engine, which required that BioWare construct all systems, tools, and assets from scratch as the series was previously built on Epic Games' Unreal Engine. Going into development, the company knew that the transition to Frostbite would be a difficult one, having already made the switch for Dragon Age: Inquisition, which proved to be extremely challenging as the engine was not designed with role-playing games in mind. In an effort to optimize the engine's capabilities, BioWare sometimes enlisted the help of other Frostbite developers. For example, to ensure that the game's driving mechanics handled well, BioWare invited the Need for Speed team to come onsite and offer advice and guidance. BioWare tried to push the boundaries of the software, particularly in the area of character animation, but struggled with facial animations in particular. This was due in part to struggles with various animation programs, an understaffed development team, and a delayed production cycle. As part of the move to Frostbite, BioWare decided to unite the combat systems of the single and multiplayer modes. In Mass Effect 3, the single-player mode used a system tailored to a slower, cover shooter approach while the multiplayer mode used a system tailored to a faster-paced approach. It was important to BioWare that, for all gameplay modes in Mass Effect: Andromeda, the player stay moving and have a strategy behind every action as opposed to remaining in one location for the entire duration of an encounter. To encourage players to play this way, BioWare built open combat layouts, which required the programming of complex artificial intelligence so that enemies could understand space and know how to flank the player from all angles. The original score of Mass Effect: Andromeda was composed by John Paesano, who was previously best known for his work on The Maze Runner films and Daredevil television series. Scenes in the game that take place in nightclubs or other public venues were composed by Edmonton-based DJs and producers. In general, the game's soundtrack was inspired by films such as Blade Runner and aimed to combine organic and synthetic sounds, an approach that BioWare used to "represent the triumph of space exploration and the fear of the unknown." A week after Mass Effect: Andromeda's North American release, BioWare announced that they were planning on making improvements to the game in response to critical feedback from fans. In April, the company unveiled a patch that focused on bug fixes and improvements to the player experience, including better lip-syncing and faster movement around the galaxy map. The following month, another patch was released which focused on improvements to cinematic scenes. Further improvements were released through the month of July, before BioWare released a statement on August 19 which confirmed that there would be no further single-player downloadable content developed or released for the game, though multiplayer patches could continue. Mass Effect: Andromeda was announced on June 15, 2015 at Electronic Entertainment Expo 2015. The game was marketed with a wide variety of video content, including teasers,[a] gameplay reveals at various awards shows and conferences,[b] cinematic trailers,[c] and an instructional gameplay series. [d] It was also promoted with a set of action figures by toy company Funko, which consisted of Peebee, Liam Kosta, Jaal, Sara Ryder, and Archon. One aspect of BioWare's marketing strategy was to avoid discussing certain plot points or making too many promises ahead of time, a plan which helped the company avoid disappointing players if they needed to cut content from the game. Leading to the release of Mass Effect: Andromeda, BioWare set up a promotional website whereby players could participate in a mock training program for the Andromeda Initiative, which included listening to recruitment pitches, reading the history of the Mass Effect universe, or watching mission briefings. Briefings included an orientation video, an introduction to the Arks and Nexus, an overview of the Tempest and Nomad, and dossiers on the game's main crewmembers. As part of the program, BioWare also selected six fans to participate in an authentic astronaut training experience at the European Astronaut Centre. Originally, BioWare planned a beta that would allow players to help test the game's multiplayer mode prior to release, but it was eventually cancelled as the company felt that it was ultimately unnecessary. Mass Effect: Andromeda was originally scheduled for release in late 2016, but its official release date was eventually moved to March 21, 2017 in North America and March 23 in Europe, Australia and New Zealand. In addition to the standard version of the game, players could also purchase a Deluxe Edition and Super Deluxe Edition, which included in-game single and multiplayer bonuses, as well as a free soundtrack download. For a short time, players could also order two versions of a Collector's Edition, one of which included a model of the in-game vehicle, the Nomad, while the second version included a remote-control Nomad. However, both versions of the Collector's Edition did not include the game or any other in-game bonuses. A week prior to Mass Effect: Andromeda's official release, BioWare made the first ten hours of the game available to players as part of EA Access and Origin Access. The game's facial animations immediately became a topic of controversy, with players posting clips, images, and memes online that poked fun at its character movements. One group of players took their complaints a step further, incorrectly identifying an EA employee as a lead developer and verbally abusing her on Twitter. In response to the incident, BioWare released an official statement, saying, "We respect the opinions of our players and community ... But attacking individuals, regardless of their involvement in the project, is never acceptable." Upon release, the Microsoft Windows and PlayStation 4 versions of Mass Effect: Andromeda received "mixed or average" reviews while the Xbox One version received "generally favorable" reviews from video game publications, according to review aggregator Metacritic. The game was later ranked the 26th best of 2017 by Eurogamer. Conversely, it also received several dishonors, including Worst Game (That We Played) from Giant Bomb. Mass Effect: Andromeda was not as well received as its predecessors. In his review for Forbes, Paul Tassi predicted that Mass Effect fans would enjoy the game but prefer the original trilogy, outside of perhaps the original game. Many outlets described Mass Effect: Andromeda as a disappointment, including Giant Bomb and PlayStation LifeStyle, who retrospectively ranked it as the most disappointing game of 2017. 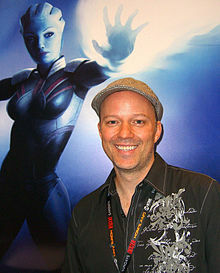 Some critics also described the game as a missed opportunity, such as Joe Juba of Game Informer, who concluded, ''Mass Effect: Andromeda is fun, and the important parts work ... At the same time, I was often left looking through a haze of inconveniences and dreaming about the game it could have been." The combat in Mass Effect: Andromeda was one of the best-reviewed aspects of the game. IGN observed that it felt more energetic than previous titles in the series, although they criticized the automatic cover system and some of the user interface. COGconnected described the combat as "a thing of beauty" and emphasized its focus on player choice and strong shooting mechanics, which they felt held up to other shooters. In an otherwise lukewarm review for GameSpot, Scott Butterworth relented that he enjoyed the combat shooting mechanics and appreciated that he was able to experiment with different character loadouts. Many reviewers criticized Mass Effect: Andromeda for its technical issues. Writing for Electronic Gaming Monthly, Ray Carsillo described the game as "broken" and recalled instances where it came to a halt, particularly during driving sequences. Character facial animations were often referenced as part of the problem, with Game Revolution's Aron Garst reflecting, "Andromeda is full of bugs and technical oddities. From the freaky facial animations to the entire screen turning a lime shade of green for a few minutes, many things went wrong during my playthrough." In an otherwise positive review, Game Informer noted that technical glitches were plentiful, which hindered the game's playability. Some outlets felt that animation glitches, model issues, and poor graphical fidelity were most apparent during the game's cinematic romance scenes in particular. The plot of Mass Effect: Andromeda was met with a mixed reception. Destructoid described it as "dull" and observed that it took too long to establish an easily-identifiable conflict. Andy Hartup of GamesRadar+ felt that the game lacked the nuance of previous installments and missed out on what made the original trilogy successful. IGN remarked that the plot was sometimes derivative of prior games in the series, using the Remnant as an example, which they felt was simply another "long-dead civilization that's left advanced technology lying around". By contrast, VideoGamer.com listed the game's plot as a positive, likening it to a Hollywood hero story. Reflecting on his experience with the game, Polygon's Arthur Gies opined that the story contained a number of worthwhile mysteries on the critical path and some "really interesting" optional content. Numerous publications praised Mass Effect: Andromeda for its larger-scale visuals, such as PC Gamer, which wrote that the game looked "stunning" and that the Frostbite Engine rendered environments at a scale that previous Mass Effect games could not match. GameSpot remarked that the game's worlds were "breathtaking to behold and exciting to explore", but also noted that there were too many repetitive, inconsequential quests that felt like "padding". RPGamer observed that the game's atmosphere was enhanced by its score, which they felt complemented the setting with either a "spacey background" or something more "rousing", as required. Mass Effect: Andromeda was the third-best-selling game of March 2017. It led the United Kingdom in physical sales during its first two weeks of release. As of August, it was the seventh best-selling game of the year. However, it eventually dropped out of the year-end top ten. The game had the second-best physical launch in the series after Mass Effect 3. Its digital sales had only single-digit percentage point improvements over Mass Effect 3 (which sold 349,000 PC digital copies alone in its opening quarter) in their respective opening quarters despite a significant growth in industry digital sales since then. Prior to the release of Mass Effect: Andromeda, Chief Executive Officer (CEO) Blake Jorgensen projected that it would sell 3 million units before the end of March, and 6 to 9 million units during its lifetime. BioWare General Manager Aaryn Flynn predicted that it would sell at least 5 million copies worldwide. Wedbush Securities analyst Michael Pachter estimated that Mass Effect: Andromeda shipped at least 2.5 million physical units in its opening quarter, resulting in $110 million in revenue. The closest that EA has come to noting an exact figure was in their fourth quarter (Q4) of fiscal year 2017 (FY17) notes for investors, which stated that $53 million of the game's net sales related to its special editions were to be captured in Q1 FY18 instead of Q4 FY17 (the quarter of its release) for accounting purposes. In EA's Q3 FY18 Earnings Call on January 30 of 2018, CEO Andrew Wilson was asked by a research analyst as to why "unfortunately, some of the nonsports titles have performed below expectations" (the analyst did not name any specific game). After citing the good performances of other games such as Battlefield 1 and Dragon Age: Inquisition, Wilson responded: "if you look at Mass Effect [Andromeda], while there was some polarizing sentiment in that franchise, it's actually performed really well, and player engagement is really strong." Although Mass Effect: Andromeda was not designed with specific plans for future installments, BioWare's original intention was to continue adding to the series. However, following the game's disappointing commercial and critical reception, reports arose that BioWare Edmonton would be taking a break from the franchise to focus on their new IP, Anthem, and that BioWare Montreal would focus on other games under the EA umbrella, such as Star Wars Battlefront II. In August 2017, BioWare Montreal was merged with EA's Motive Studios, casting further doubt on the future of the Mass Effect franchise. However, former series creative director Casey Hudson, who departed from BioWare in 2014 but returned following Mass Effect: Andromeda's release, has stated that he would like for the series to continue. ^ Gray, Kate (November 16, 2016). "Mass Effect: Andromeda – everything we know so far". The Guardian. Archived from the original on April 21, 2018. Retrieved November 19, 2016. ^ Nelva, Giuseppe (November 7, 2016). "Mass Effect Andromeda: Name/Character Customization and Same-Gender/Alien Romance Confirmed and More". Dual Shockers. Archived from the original on April 22, 2018. Retrieved January 20, 2017. ^ Lokesh (January 30, 2017). "Mass Effect: Andromeda Indirectly Customizing Alec Ryder's Appearance". GosuNoob. Archived from the original on April 22, 2018. Retrieved February 25, 2017. ^ a b Makuch, Eddie (November 8, 2016). "Mass Effect: Andromeda Has Crafting, Updated New Game+; Story Described as "Different"". Gamespot. Retrieved January 28, 2017. ^ Fenlon, Wes (February 24, 2017). "Mass Effect: Andromeda lead designer Ian Frazier on 'fulfilling the promise of Mass Effect 1'". PC Gamer. Archived from the original on April 22, 2018. Retrieved February 25, 2017. ^ a b Hall, Mat (June 13, 2017). "Mass Effect Andromeda walkthrough: Guide and tips to exploring the new galaxy and completing all main missions". Eurogamer. Archived from the original on April 23, 2018. Retrieved December 28, 2017. ^ Juba, Joe (December 2016). "Unexplored Territory: Mass Effect Charts a New Course". Game Informer. No. 284. p. 89. ^ Fenlon, Wes (February 23, 2017). "Mass Effect: Andromeda has no level cap, allows you to completely respec Ryder". PC Gamer. Archived from the original on April 23, 2018. Retrieved February 26, 2017. ^ Bogenn, Tim; Tran, Long (March 21, 2017). Mass Effect: Andromeda: Prima Official Guide. Prima Games. ISBN 978-0744017892. ^ Juba, Joe (December 2016). "Unexplored Territory: Mass Effect Charts a New Course". Game Informer. No. 284. p. 90. ^ a b c d e Tyrer, Ben (February 2017). "Preview: Mass Effect: Andromeda". PC Gamer. No. 301. p. 18. ^ Prell, Sam (February 8, 2017). "Mass Effect: Andromeda director Mac Walters explains the dialogue system replacing Paragon / Renegade". GamesRadar+. Archived from the original on April 24, 2018. Retrieved February 19, 2017. ^ Gwaltney, Javy (February 23, 2017). "50 Details We Noticed During Our Hands-On Time With The Game". Game Informer. Archived from the original on April 24, 2018. Retrieved February 25, 2017. ^ Juba, Joe (December 2016). "Unexplored Territory: Mass Effect Charts a New Course". Game Informer. No. 284. p. 103. ^ Wallace, Kimberly (November 18, 2016). "Mass Effect Andromeda's New Approach To Romance". Game Informer. Archived from the original on April 24, 2018. Retrieved January 15, 2017. ^ Lemon, Marshall (June 21, 2016). "Mass Effect: Andromeda about "shades of grey", not Paragon/Renegade morality". VG247. Archived from the original on April 24, 2018. Retrieved January 15, 2017. ^ Juba, Joe (November 21, 2016). "Getting To Know The Tempest: Mass Effect's New Normandy". Game Informer. Archived from the original on April 28, 2018. Retrieved January 15, 2017. ^ a b c "Exploration, Discovery, and Crafting in Mass Effect: Andromeda". Mass Effect Official Website. Archived from the original on April 28, 2018. Retrieved March 5, 2017. ^ Scott-Jones, Richard (February 10, 2017). "Mass Effect: Andromeda has over a dozen hub areas, will learn from The Witcher 3". PCGamesN. Archived from the original on April 28, 2018. Retrieved February 12, 2017. ^ a b Sinha, Ravi (November 24, 2016). "Mass Effect Andromeda Open World Includes Hostile Bases, Giant Bosses". GamingBolt. Archived from the original on April 28, 2018. Retrieved January 15, 2017. ^ a b Wallace, Kimberly (November 23, 2016). "Six Fun Activities To Pursue In Mass Effect Andromeda". Game Informer. Archived from the original on June 3, 2018. Retrieved January 28, 2017. ^ Juba, Joe (November 7, 2016). "Loyalty Missions Return In Mass Effect Andromeda". Game Informer. Archived from the original on June 3, 2018. Retrieved January 28, 2017. ^ a b Polo, Susana (January 12, 2017). "Explore Mass Effect: Andromeda's new space home and space car". Polygon. Archived from the original on June 3, 2018. Retrieved January 15, 2017. ^ a b Favis, Elise (June 13, 2016). "Mass Effect: Andromeda Will Feature A Huge Open World And More". Game Informer. Archived from the original on June 3, 2018. Retrieved August 11, 2016. ^ a b Parkin, Jeffrey (March 15, 2017). "Mass Effect: Andromeda guide: How to manage missions, read the map and work the tram". Polygon. Archived from the original on June 3, 2018. Retrieved April 9, 2017. ^ Tyrer, Ben (February 2017). "Preview: Mass Effect: Andromeda". PC Gamer. No. 301. p. 19. ^ Donnelly, Joe (January 17, 2017). "Mass Effect Andromeda crafting is 'quite a bit different' to Dragon Age: Inquisition". PC Gamer. Archived from the original on July 29, 2018. Retrieved January 28, 2017. ^ a b c d e "Weapons and Skills in Mass Effect: Andromeda". Mass Effect Official Website. Archived from the original on July 29, 2018. Retrieved February 22, 2017. ^ a b c Juba, Joe (December 2016). "Unexplored Territory: Mass Effect Charts a New Course". Game Informer. No. 284. p. 87. ^ Hurley, Leon (January 5, 2017). "Mass Effect Andromeda's combat gameplay shows fighting, engineer skills and flamethrower upgrades". GamesRadar+. Archived from the original on July 29, 2018. Retrieved January 28, 2017. ^ a b "Profiles and Squads in Mass Effect: Andromeda". Mass Effect Official Website. Archived from the original on July 29, 2018. Retrieved February 24, 2017. ^ Pramath (November 8, 2016). "Mass Effect Andromeda Combat Detailed: No More Global Cooldowns, Dynamic Cover, Skill Based System". GamingBolt. Archived from the original on July 29, 2018. Retrieved January 28, 2017. ^ a b Sinha, Ravi (March 23, 2017). "Mass Effect Andromeda: 7 Reasons to Buy for Multiplayer". IGN India. Archived from the original on July 30, 2018. Retrieved October 1, 2017. ^ a b "Multiplayer in Mass Effect: Andromeda". Mass Effect Official Website. Archived from the original on July 30, 2018. Retrieved October 1, 2017. ^ Senior, Tom (March 29, 2017). "How Mass Effect: Andromeda gets multiplayer right". PC Gamer. Archived from the original on July 30, 2018. Retrieved October 1, 2017. ^ Carter, Chris (March 21, 2017). "Mass Effect: Andromeda multiplayer guide". Polygon. Archived from the original on July 30, 2018. Retrieved October 1, 2017. ^ a b Juba, Joe. "Meet Mass Effect Andromeda's Leading Voice Cast". Game Informer. Archived from the original on August 4, 2018. Retrieved February 4, 2017. ^ Pitcher, Jenna (June 15, 2015). "E3 2015: First Mass Effect Andromeda story details revealed". IGN. Retrieved June 16, 2015. ^ Phillips, Tom (November 7, 2016). "Now we know exactly when Mass Effect Andromeda is set". Eurogamer. Archived from the original on July 31, 2018. Retrieved January 1, 2018. ^ Phillips, Tom (November 25, 2016). "Mass Effect Andromeda will leave some familiar alien races behind". EuroGamer. Archived from the original on July 31, 2018. Retrieved February 11, 2017. ^ Boudreau, Ian (December 2, 2015). "Briefing Video Introduces Arks And The Nexus". Game Informer. Archived from the original on July 31, 2018. Retrieved February 11, 2017. ^ Phillips, Tom (June 20, 2016). "Why Mass Effect: Andromeda won't acknowledge your ME3 ending choice". Eurogamer. Archived from the original on July 31, 2018. Retrieved February 25, 2017. ^ Scott-Jones, Richard (March 20, 2017). "The characters of Mass Effect: Andromeda - who you can batter, befriend and boink". PCGamesN. Archived from the original on August 4, 2018. Retrieved February 25, 2017. ^ Donnelly, Joe (February 23, 2017). "Mass Effect: Andromeda will star Game of Thrones' Natalie Dormer". PC Gamer. Archived from the original on August 4, 2018. Retrieved February 25, 2017. ^ Porter, Matt (January 27, 2017). "Mass Effect: Andromeda Details a Few New Squadmates". IGN. Retrieved February 4, 2017. ^ Phillips, Tom (April 25, 2017). "Mass Effect Andromeda ending analysis". Eurogamer. Archived from the original on August 4, 2018. Retrieved September 17, 2017. ^ a b Flynn, Aaryn. "Casey Hudson's Departure from BioWare/EA". BioWare Blog. Retrieved January 29, 2017. ^ "BioWare Games". BioWare. Archived from the original on August 19, 2018. Retrieved January 21, 2017. ^ Taormina, Anthony (March 23, 2013). "'Mass Effect 4' in Development at BioWare Montreal; Edmonton Studio Working on New IP". Game Rant. Archived from the original on August 19, 2018. ^ Stilwell, Daniel. "Edmonton video game maker BioWare releases 'Mass Effect: Andromeda'". Global News. Archived from the original on August 19, 2018. Retrieved March 26, 2017. ^ BioWare. "Introducing Mass Effect™: Andromeda". BioWare Blog. Archived from the original on August 19, 2018. Retrieved April 30, 2017. ^ a b Hanson, Ben. "BioWare's New Horizon: Andromeda, Star Wars, And The New IP". Game Informer. Archived from the original on August 19, 2018. Retrieved February 12, 2017. ^ BioWare (November 12, 2012). "An Update From BioWare Montreal". BioWare Blog. Archived from the original on August 19, 2018. Retrieved January 7, 2013. ^ Petitte, Omri. "Mass Effect 4 won't include Shepard at all, says BioWare". PC Gamer. Archived from the original on August 12, 2018. Retrieved February 5, 2017. ^ Porter, Matt. "Mass Effect: Andromeda Removed Paragon/Renegade System to Allow for Old-School Role-Playing". IGN. Retrieved February 22, 2017. ^ a b c d e f g h i Schreier, Jason. "The Story Behind Mass Effect: Andromeda's Troubled Five-Year Development". Kotaku. Archived from the original on September 22, 2018. Retrieved June 8, 2017. ^ a b c Schwartz, Terri. "How Mass Effect 3's Ending Influenced Andromeda". IGN. Retrieved January 20, 2017. ^ Juba, Joe (December 2016). "Unexplored Territory: Mass Effect Charts a New Course". Game Informer. No. 284. p. 86. ^ Juba, Joe (December 2016). "Unexplored Territory: Mass Effect Charts a New Course". Game Informer. No. 284. p. 94. ^ Chalk, Andy. "Mass Effect: Andromeda's Exploration trailer highlights 'the heart' of the game". PC Gamer. Archived from the original on September 15, 2018. Retrieved December 12, 2017. ^ Usher, William. "One Major Change That Mass Effect: Andromeda Will Make To The Series". CinemaBlend. Archived from the original on September 15, 2018. Retrieved February 12, 2017. ^ Albert, Weston. "Mass Effect: Andromeda's Side Activities Look Bigger than Ever". Game Rant. Archived from the original on September 15, 2018. Retrieved December 12, 2017. ^ Donnelly, Joe. "Mass Effect: Andromeda will have 'meaningful' sidequests akin to The Witcher, says game producer". PC Gamer. Archived from the original on September 15, 2018. Retrieved February 22, 2017. ^ Bhat, Aditya (January 19, 2015). "Mass Effect 4: New Details Reveal its Massiveness, Possible Release Date and Nearly 200 Devs Engaged in Development". Archived from the original on September 22, 2018. Retrieved March 10, 2015. ^ Kent, Gordon (March 1, 2017). "Edmonton's BioWare uses upcoming release of Mass Effect: Andromeda to push for industry tax credits". Edmonton Journal. Archived from the original on September 22, 2018. Retrieved September 22, 2018. ^ Pierse, Conal (November 7, 2014). "Introducing Some Dev Team Leads For The Next Mass Effect". BioWare Blog. Archived from the original on September 22, 2018. ^ Dunning, Jason. "Mac Walters, Lead Writer on the Mass Effect Series: "I'm Actually Just Working on" the Next ME". PlayStation LifeStyle. Archived from the original on September 22, 2018. Retrieved February 5, 2017. ^ Davidson, Joey. "Mass Effect: Andromeda loses yet another senior dev". TechnoBuffalo. Archived from the original on September 22, 2018. Retrieved May 29, 2017. ^ Juba, Joe. "22 Random Tidbits About Mass Effect Andromeda". Game Informer. Archived from the original on September 23, 2018. Retrieved January 20, 2017. ^ Roberts, David. "Mass Effect's Mako will actually be fun to drive... thanks to the Need for Speed team". GamesRadar+. Archived from the original on September 23, 2018. Retrieved February 5, 2017. ^ Khan, Zarmena. "BioWare "Pushing the Boundaries" of Frostbite Engine With Mass Effect Andromeda". PlayStation LifeStyle. Archived from the original on September 23, 2018. Retrieved February 5, 2017. ^ Hanson, Ben. "How Mass Effect 3's Multiplayer Influenced Andromeda's Gameplay". Game Informer. Archived from the original on September 23, 2018. Retrieved February 11, 2017. ^ Greening, Chris (January 6, 2017). "Mass Effect: Andromeda composer and soundtrack details". VGMO. Archived from the original on September 29, 2018. Retrieved January 12, 2017. ^ Johnson, Doug (March 4, 2017). "Edmonton DJs make music for BioWare's new game Mass Effect: Andromeda". Edmonton Journal. Archived from the original on September 29, 2018. Retrieved March 5, 2017. ^ Trayner, Sean (April 13, 2017). "The Music of Mass Effect: Andromeda". BioWare Blog. Archived from the original on September 29, 2018. Retrieved May 29, 2017. ^ Phillips, Tom. "BioWare issues statement on Mass Effect Andromeda future". Eurogamer. Archived from the original on October 3, 2018. Retrieved May 29, 2017. ^ Trayner, Sean. "Mass Effect: Andromeda Patch 1.05 Notes". BioWare Blog. Archived from the original on October 3, 2018. Retrieved May 29, 2017. ^ "Mass Effect: Andromeda Patch 1.06 Notes". BioWare Blog. Archived from the original on October 3, 2018. Retrieved May 29, 2017. ^ Morrison, Mae. "Mass Effect: Andromeda Patch 1.09 Notes". BioWare Blog. Archived from the original on October 3, 2018. Retrieved September 13, 2017. ^ "Update from the studio". Mass Effect Official Website. August 19, 2017. Archived from the original on October 3, 2018. Retrieved August 19, 2017. ^ a b c Dyer, Mitch. "E3 2015: Mass Effect: Andromeda Announced for Holiday 2016". IGN. Retrieved February 22, 2017. ^ S. Good, Owen (November 7, 2015). "See Mass Effect: Andromeda's new teaser trailer". Polygon. Archived from the original on October 14, 2018. Retrieved November 7, 2015. ^ Phillips, Tom. "Mass Effect: Andromeda 4K PS4 Pro mission gameplay". Eurogamer. Archived from the original on October 14, 2018. Retrieved February 20, 2017. ^ Blake, Vikki. "CES 2017: New Mass Effect: Andromeda 'Environments and Gameplay' Debut Tomorrow". IGN. Retrieved March 26, 2017. ^ Wilde, Tyler. "Watch the new Mass Effect: Andromeda gameplay trailer". PC Gamer. Archived from the original on October 14, 2018. Retrieved January 26, 2017. ^ Juba, Joe. "Breaking Down Mass Effect Andromeda's N7 Day Trailer". Game Informer. Archived from the original on October 14, 2018. Retrieved March 26, 2017. ^ "Mass Effect Andromeda - Cinematic Trailer #2". IGN. Retrieved February 22, 2017. ^ Saed, Sherif. "The Mass Effect: Andromeda explosive launch trailer is here to make the wait more excruciating". VG247. Retrieved March 26, 2017. ^ Makuch, Eddie. "More Mass Effect: Andromeda Funko Pop Toys Revealed". GameSpot. Retrieved December 12, 2017. ^ "Andromeda Initiative". BioWare. Retrieved January 29, 2017. ^ Chalk, Andy. "Mass Effect: Andromeda "Orientation Briefing" trailer welcomes you to the team". PC Gamer. Retrieved January 29, 2017. ^ Chalk, Andy. "Mass Effect: Andromeda's Nexus station is a "smaller, streamlined" version of the Citadel". PC Gamer. Retrieved January 29, 2017. ^ Nunneley, Stephany. "Check out Mass Effect: Andromeda's Tempest and Nomad in latest Andromeda Initiative briefing video". VG247. Retrieved January 29, 2017. ^ Kuchera, Ben. "Meet the Mass Effect: Andromeda crew in latest briefing". Polygon. Retrieved January 29, 2017. ^ "Six Human Recruits To Take on Space Training". Mass Effect Official Website. Retrieved February 25, 2017. ^ Chalk, Andy. "The Mass Effect: Andromeda multiplayer beta has been cancelled [Updated]". PC Gamer. Retrieved March 5, 2017. ^ Flynn, Aaryn. "Mass Effect: Andromeda Coming March 21, 2017". Mass Effect Official Website. Retrieved February 22, 2017. ^ Mascarenhas, Hyacinth. "Mass Effect Andromeda PC patch fixes black screen bug, mutiplayer sound and keyboard issues". International Business Times. Retrieved January 26, 2018. ^ Chalk, Andy. "Mass Effect: Andromeda special editions and preorder bonuses revealed". PC Gamer. Retrieved January 29, 2017. ^ Phillips, Tom. "Mass Effect Andromeda $199 Collector's Edition includes remote control Mako". Eurogamer. Retrieved January 29, 2017. ^ Albert, Brian (March 7, 2017). "A Complete Guide to Mass Effect: Andromeda's Preorder Bonuses". ^ Tassi, Paul. "This Is Why It's A Bad Idea For Games Like 'Mass Effect: Andromeda' To Have Piecemeal Embargoes". Forbes. Retrieved May 29, 2017. ^ a b Favis, Elise. "BioWare Responds To Harassment Following Uproar About Mass Effect: Andromeda's Animations". Game Informer. Retrieved May 29, 2017. ^ Gordon, Rob. "BioWare Releases Official Statement on Facial Animation Blame Game". Game Rant. Retrieved May 29, 2017. ^ a b "Mass Effect: Andromeda for PC Reviews". Metacritic. Retrieved March 31, 2017. ^ a b "Mass Effect: Andromeda for PlayStation 4 Reviews". Metacritic. Retrieved March 20, 2017. ^ a b "Mass Effect: Andromeda for Xbox One Reviews". Metacritic. Retrieved April 4, 2017. ^ a b Makedonski, Brett (March 20, 2017). "Review: Mass Effect: Andromeda". Destructoid. Retrieved March 20, 2017. ^ a b Carsillo, Ray (March 22, 2017). "Mass Effect: Andromeda review". Electronic Gaming Monthly. Retrieved March 22, 2017. ^ a b c Juba, Joe (March 20, 2017). "Adapting To Harsh Frontiers - Mass Effect: Andromeda - PlayStation 4". Game Informer. Retrieved March 20, 2017. ^ a b Garst, Aron (March 20, 2017). "Mass Effect Andromeda Review". Game Revolution. Retrieved March 20, 2017. ^ a b c Butterworth, Scott (March 20, 2017). "Mass Effect: Andromeda Review". Gamespot. Retrieved March 20, 2017. ^ a b Hartup, Andy (March 20, 2017). "Mass Effect: Andromeda review: 'Not a disaster, but definitely not the fresh start this series needed'". GamesRadar+. Retrieved March 20, 2017. ^ a b c Stapleton, Dan (March 20, 2017). "Mass Effect: Andromeda Review". IGN. Retrieved March 20, 2017. ^ a b Thursten, Chris (March 20, 2017). "Mass Effect: Andromeda review". PC Gamer. Retrieved March 20, 2017. ^ a b Gies, Arthur (March 20, 2017). "Mass Effect Andromeda Review". Polygon. Retrieved March 20, 2017. ^ a b Bell, Alice (March 20, 2017). "Mass Effect: Andromeda review". VideoGamer.com. Retrieved March 20, 2017. ^ Eurogamer Staff (December 28, 2017). "Eurogamer's Top 50 Games of 2017: 30-21". Eurogamer. Retrieved December 31, 2017. ^ Giant Bomb Staff (December 26, 2017). "Game of the Year 2017 Day Two: Music, Surprise, Multiplayer, and Mess". Giant Bomb. Retrieved December 26, 2017. ^ "Best, worst, and blandest games of 2017 (Zero Punctuation)". YouTube. The Escapist. January 10, 2018. Retrieved March 25, 2018. ^ Kain, Erik (March 20, 2017). "'Mass Effect: Andromeda' Is the Worst-Reviewed Game in the Franchise". Forbes. Retrieved May 21, 2017. ^ Martin, Liam (March 23, 2017). "Mass Effect Andromeda review scores: BioWare's worst RPG ever on PS4 and Xbox One?". Sunday Express. Retrieved May 21, 2017. ^ Tassi, Paul (March 20, 2017). "'Mass Effect: Andromeda' Review (PS4): Every Man's Sky". Forbes. Retrieved May 21, 2017. ^ Gerardi, Matt (March 24, 2017). "What makes Mass Effect: Andromeda such a disappointment?". The A.V. Club. Retrieved September 23, 2017. ^ Mahboubian-Jones, Justin (March 20, 2017). "Mass Effect: Andromeda review: BioWare shoots for the stars but finds itself circling the moon". Digital Spy. Retrieved September 23, 2017. ^ Yin-Poole, Wesley (May 11, 2017). "Mass Effect series "on ice" following Andromeda disappointment". Eurogamer. Retrieved May 21, 2017. ^ Giant Bomb Staff (December 25, 2017). "Game of the Year 2017 Day One: Old, Disappointing, Shopkeepers, and Looks". Giant Bomb. Retrieved December 26, 2017. ^ Wood, Chandler (December 26, 2017). "Biggest Disappointment of 2017 – Winner". PlayStation LifeStyle. Retrieved December 28, 2017. ^ Sullivan, Paul (March 20, 2017). "Mass Effect Andromeda Review - Wake Up from Hyperspace and Join the Initiative". COGconnected. Retrieved May 21, 2017. ^ Hernandez, Patricia (March 16, 2017). "People Are Trashing Mass Effect: Andromeda's Animation". Kotaku. Retrieved October 7, 2017. ^ Hurley, Leon (March 16, 2017). "Mass Effect Andromeda's animations are getting compared to Pingu, robots and gorillas [Updated]". GamesRadar+. Retrieved October 7, 2017. ^ Fuller, Alex (2017). "Small Step or Giant Leap?". RPGamer. Retrieved October 8, 2017. ^ a b Grubb, Jeff (April 20, 2017). "March 2017 NPD: Zelda and Tom Clancy have a big month". VentureBeat. Retrieved September 27, 2017. ^ Dayus, Oscar. "Top 10 UK Sales Chart - Mass Effect: Andromeda Is Still No.1". GameSpot. Retrieved January 28, 2018. ^ Chan, Stephanie (September 14, 2017). "August 2017 NPD: Madden NFL 18 spikes the sales charts". VentureBeat. Retrieved September 27, 2017. ^ Kain, Erik. "The Best-Selling Video Games Of 2017". Forbes. Retrieved January 28, 2018. ^ Fischer, Tyler (April 28, 2017). "SuperData Digital Sales March 2017: Ghost Recon Wildlands Tops Sales Charts; Market Increases 7% Year-on-Year". DualShocker. Retrieved September 27, 2017. ^ Saed, Sherif (February 1, 2017). "EA expects Mass Effect: Andromeda to sell around 3 million units in the first week". VG247. Retrieved September 24, 2017. ^ Kent, Gordon (March 1, 2017). "Edmonton's BioWare uses upcoming release of Mass Effect: Andromeda to push for industry tax credits". Edmonton Journal. Retrieved September 27, 2017. ^ Ciaccia, Chris (May 14, 2017). "5 ETFs to Buy If You Love EA's Fourth-Quarter Earnings". The Street. Retrieved January 12, 2019. ^ Electronics Arts Q4 FY17 Prepared Comments. May 9, 2016. Page 7. ^ EA - Q3 2018 Electronic Arts Inc Earnings Call. Official Edited Transcript. THOMSON REUTERS STREET EVENTS. January 30, 2017. ^ Sheridan, Connor (November 18, 2016). "Overwatch scoops five awards, Firewatch wins Best Indie Game: Here are all the Golden Joystick 2016 winners". GamesRadar+. Retrieved November 18, 2016. ^ Jones, Brad (November 17, 2016). "Big names nominated for top honors at The Game Awards 2016". Digital Trends. Retrieved November 21, 2016. ^ Gaito, Eri (November 13, 2017). "Golden Joystick Awards 2017 Nominees". Best in Slot. Retrieved December 29, 2017. ^ Macy, Seth. "Mass Effect Series on Hold, According to Report". IGN. Retrieved May 29, 2017. ^ Kerr, Chris (August 1, 2017). "EA confirms BioWare Montreal is merging with Motive". Gamasutra. Retrieved August 1, 2017. ^ Wan, Zhiqing. "Mass Effect: Andromeda May Not Be Getting Anymore Content, But Casey Hudson Wants the Series to Continue". Twinfinite. Retrieved October 8, 2017. ^ E3 2015, N7 Day 2015. ^ 4K PS4 Pro, CES 2017, The Game Awards. ^ N7 Day 2016, January 2017, Launch Trailer.